On Saturday, March 9, 2019, Grandmaster Andy Ah Po, accompanied by his son Master Anthony Ah Po, attended a tournament and Dan testing event held in Roseville, California. 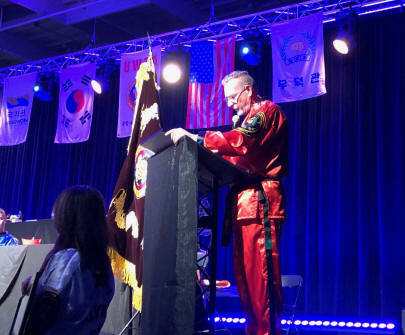 His attendance came by way of an invitation from the Korean Tae Kwon Do Moo Duk Kwan Association, the organization hosting the event, in order to accept a special award prepared for him. Grandmaster Ah Po, while not affiliated in any way with the organization, has known and had friendly relations with a number of its members over the last 50 years since these individuals were originally members of the Korean Tang Soo Do (Soo Bahk Do) Moo Duk Kwan Association under Kwan Jang Nim Hwang Kee. 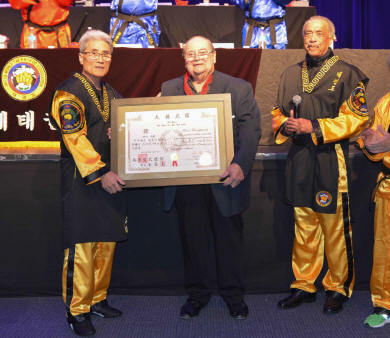 As such, Kwan Jang Nim Ah Po was presented with a certificate honoring his lifetime of service to the Moo Duk Kwan. In addition, Grandmaster Ah Po, a 9th Dan in Tang Soo Do was also awarded a 9th Dan in that organization. 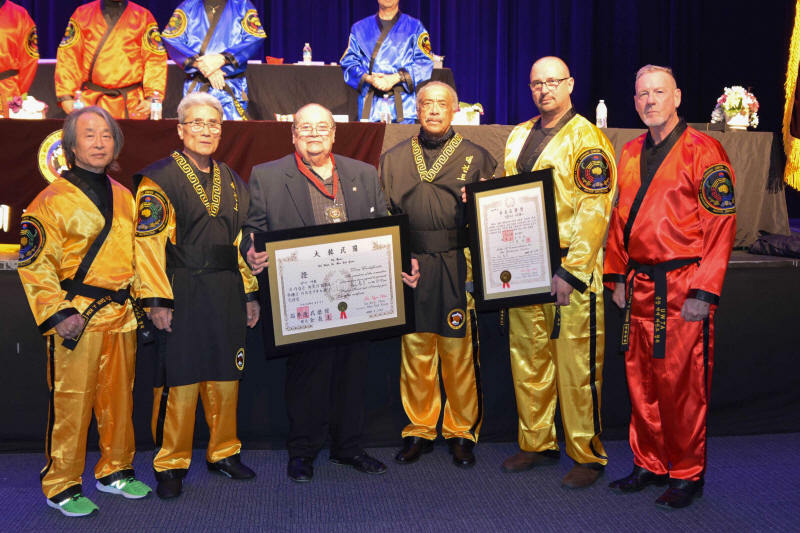 The award certificates were prepared and sent directly from Korea by Grandmaster Jae Kyu Chon, the current president of their association, and presented by Grandmaster Jong Hwan Lee.